While attorneys across the country are filing lawsuits on behalf of local plaintiffs, Pennsylvania is seeing a large number of cases. Dozens of cases made their way to Philadelphia. An attorney family with the cases told a reporter at the Legal Intelligencer that more than 150 suits are pending in Missouri and Illinois. Attorneys say a judge may consolidate the cases if the volume continues to grow. Two years after the U.S. Food and Drug Administration (FDA) approved Johnson & Johnson’s Invokana, the FDA issued a drug safety communication that warned doctors and patients that Invokana may lead to diabetic ketoacidosis (DKA). 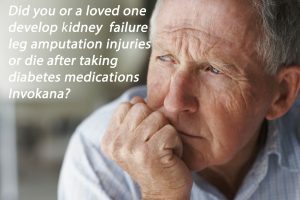 According to recent lawsuits, the makers of Invokana knew or should have known about diabetic ketoacidosis but failed to warn consumers. Invokana is a new class of Type 2 diabetes drug called sodium-glucose co-transporter 2 (SGLT2). This class of Type 2 diabetes drugs work by stopping glucose from being reabsorbed into the blood. 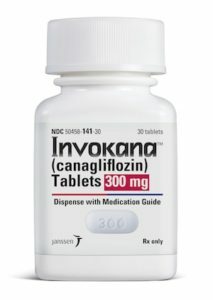 The FDA approved Invokana in 2013. In May 2015 the FDA release a statement warning patients and doctors that SGLT2 drugs may lead to DKA. If DKA is left untreated, it can be fatal. In December 2015, the FDA ordered manufacturers of SGLT2 inhibitors to add warnings regarding the risk of urinary tract infection and ketoacidosis to the drugs’ labels.